.... to find San Pedro Park. 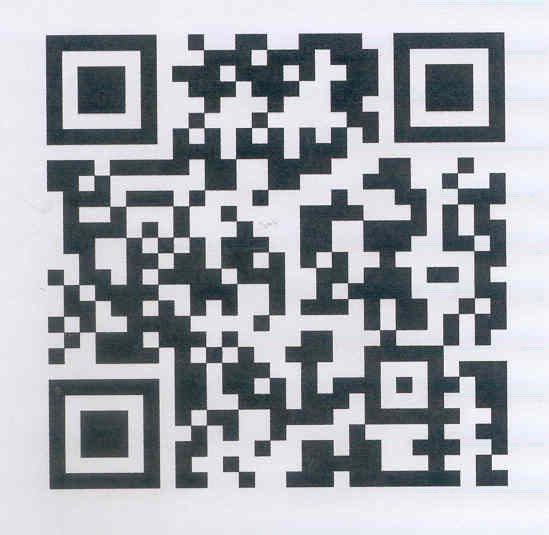 Enter "708 N. Hobson Ave.,95605"
in the search box. Click Here! Save The Date: Jun 29 & 30, 2019,Our 98th Year! Always the last full weekend in June! "Friends of San Pedro" ! Nossos amigos são nosso coração! A Big Hug to all! Our friends are our heart! 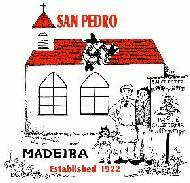 Please RENEW or become a NEW "Friend of San Pedro"
Thanks to all for your continued support! Not yet a "Friend"?...Please consider helping us to maintain our Madeiran Traditions and our little "San Pedro Park" in Bryte/West Sacramento. Click here for membership form and more info. You can also submit your annual support combined with any additional donations (or make a donation only), via PayPal..just click on the PayPal button below! Because of your support SPA has been able to keep up maintenance of San Pedro Park throughout the year! .....Obrigado a Todos! ....and we have yet more to do! 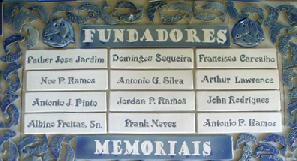 See listing of San Pedro Festas Past Queens & Aides. Ramos, Pinto, Freitas, Jardim, Frates, Carvalho, Silva, Beata, Augustino, Sequeira, Sardine, Andrade, Cardoza, Paulo, Neves, Rodriques, Lawrence, Lopes, Gonsalves, Neto, Enos, Fonseca, Santos, Perry, Amaral, Pena. Year 2010 Census. See What's Up! 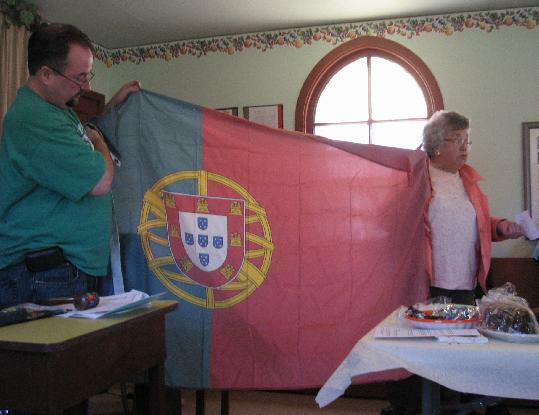 San Pedro presented with historic Portuguese flag by San Pedro Director, Mary Fischer. The flag was acquired by daughter (and SPA member) Diane Fischer, now living in Vienna and working there with the United Nations. The flag flew over the Memorial Plaza at the UN Headquarters in Vienna, Austria and was retired in August 2009. The Memorial Plaza is situated in the courtyard of the Vienna International Center dedicated to the memory of all UN staff that have died in the line of duty. The flags of 192 member nations are on display. The flag is on display in our Capela. San Pedro is back using the "Wine Shed" for wine making! The Hino da Região Autónoma da Madeira The official anthem of Madeira Islands, Portugal, was adopted in 1980. The lyrics are by Ornelas Teixeira and the music by João Víctor Costa. Madeira Carnival/Carnaval Season is happening! Take a look. Be prepared for landing on the airport's extended runway.See Photos. Our Lady of Miracles, Gustine. 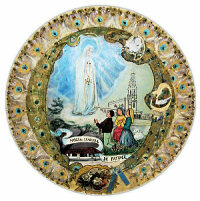 Our Lady of Fatima Society, Thornton. Our Lady of the Mountain Church, "Nossa Senhora do Monte", first established by Portuguese immigrants from the island of Madeira in Honolulu. History of St. Francis of Assisi Parish, Sacramento, the greater Sacramento area and California. How our great state "came to be" ! and scaned by smart phones/ipads.